Economics has become a monolithic science, variously described as formalistic and autistic with neoclassical orthodoxy reigning supreme. So argue Dimitris Milonakis and Ben Fine in this new major work of critical recollection. The authors show how economics was once rich, diverse, multidimensional and pluralistic, and unravel the processes that lead to orthodoxy's current predicament. 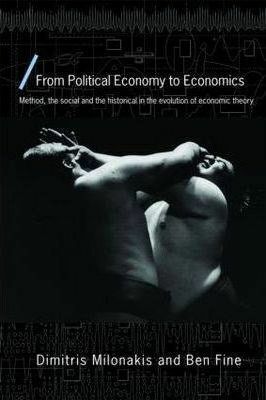 The book details how political economy became economics through the desocialisation and the dehistoricisation of the dismal science, accompanied by the separation of economics from the other social sciences, especially economic history and sociology. It is argued that recent attempts from within economics to address the social and the historical have failed to acknowledge long standing debates amongst economists, historians and other social scientists. This has resulted in an impoverished historical and social content within mainstream economics. The book ranges over the shifting role of the historical and the social in economic theory, the shifting boundaries between the economic and the non-economic, all within a methodological context. Schools of thought and individuals, that have been neglected or marginalised, are treated in full, including classical political economy and Marx, the German and British historical schools, American institutionalism, Weber and Schumpeter and their programme of Socialoekonomik, and the Austrian school. At the same time, developments within the mainstream tradition from marginalism through Marshall and Keynes to general equilibrium theory are also scrutinised, and the clashes between the various camps from the famous Methodenstreit to the fierce debates of the 1930s and beyond brought to the fore. Dimitris Milonakis is Associate Professor and Head of the Department of Economics at the University of Crete. Ben Fine is Professor of Economics at the School of Oriental and African Studies, University of London.